The current apartment that I have called home in Ann Arbor since April 2004, has been the one address I have lived at the longest for my entire life. In just two months, I will have lived there for ten straight years and I have become quite comfortable living there. I hate moving because I have moved a lot in the years prior to my current home. But these days, as I'm actively looking for new career opportunities in Detroit and Dearborn, I am open to moving closer to those areas so that I don't have to drive too far. Especially due to horrible winter we have experienced this year, it makes no sense to live so far away from a job. This is Michigan, not Southern California. I'm also very spoiled in being an Ann Arborite because I live and work in this city and my commute is barely 10 minutes on secondary roads. Just last week, I was contacted by the landlord company and they informed me that my rent went up 7.5%! I looked at the new rental rate and I couldn't believe it. They have been tidying things up, new paint jobs that make the apartment building look more fresh and bright. I realize that during the housing bust that rents dropped and those years were good to me because my employment was shaky with the layoffs and part-time work. And it doesn't help matters living in a city with a world class public university because it brings in a lot of people with the money to spend on high rents. I foolishly thought that all the fancy high-rise apartments that were being built around Univ of Michigan's campus would accommodate all the students. But what about those students who can't or don't want to pay $1200/mth to share a flat with 4-5 other people? They spread out further to properties within the three mile zone of the university to apartments like mine. 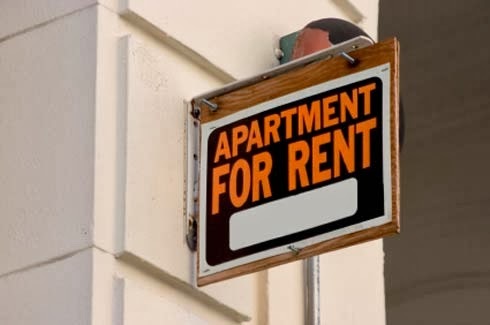 Some even move to apartments in Ypsilanti because rents drop significantly there, but unfortunately, crime goes up in some of those neighborhoods. But I digress. If I get a new job within the next 6-8 weeks and if it's close to Detroit, I will certainly have to move due to the before mentioned weather related reasons. But I'll be torn inside a bit to have to move because Ann Arbor has everything for me, and after living in this area after moving back to Michigan from New York City, it's hard to find another city that can live up to A2. So for the time being, I'm prepared to renew my lease but I'm actively applying for new jobs that may position me to eventually move away from Ann Arbor. Whatever my decision, this will be my last year renting at this apartment, it'll be time to move on.